PAID MEMBERS Detailed Questions: Use the ‘Paid Members Form’ [you can see it after you log in, below]. It’s delivered DIRECTLY to my email and receives PRIORITY attention. As a Paid Member, you can write as often as you want & with as much detail as you want …and yes, you do receive free tips, email coaching and free advice when you ask for it. As much as you want, for the duration of your membership. No one else sees your contact details or name. When anyone receives a detailed response from me, I will have those replies posted at Personal Questions And Answers. 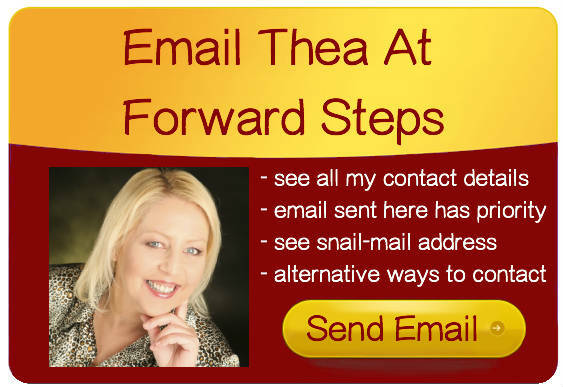 The content page with those responses are only available to Paid Members at ‘My Forward Steps’. Questions and answers are published at My Forward Steps only when I feel that my reply could be useful information for others.